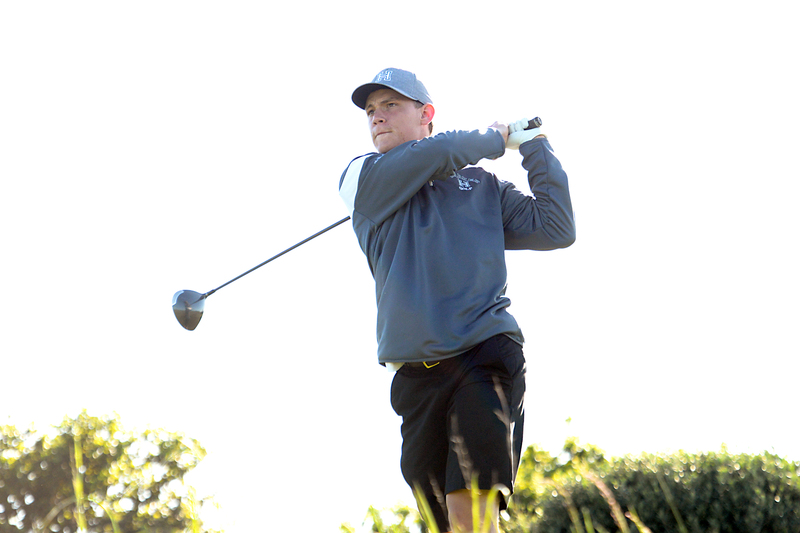 Most eyes may have been on Golden State Warriors guard Steph Curry during last weekend’s Ellie Mae Classic golf tournament, but Harker community members likely noticed another familiar name among the many competitors: recent graduate Colt McNealy. McNealy, who will begin studies at Stanford in the fall, qualified for the event in late June at a Junior Tour of Northern California tournament, sneaking past three other players who were in contention for the spot. One of them was JTNC Player of the Year Thomas Hutchison. The Ellie Mae Classic, held at TPC Stonebrae in Hayward, is a charity event that features professional and amateur golfers as well as star athletes from other sports. Colt’s brother, Maverick ’13, competed at last year’s Ellie Mae Classic but was unable to attend this year, as he was competing at the The Open Championship at Royal Birkdale in England.